*Walk-ins are for regular classes. SmGrp-RIP Weightlifting is Small Group Training. These sessions must be pre-registered for and are $8 for members, $10 for non-members or 10 sessions pass available for $70 per pass. Above photograph by Michael Townsend. Picture taken at Zumbathon on February 19, 2012 for CCC Nursing Program. Our Instructors would like to extend a 'TRY ME' class to new clients! 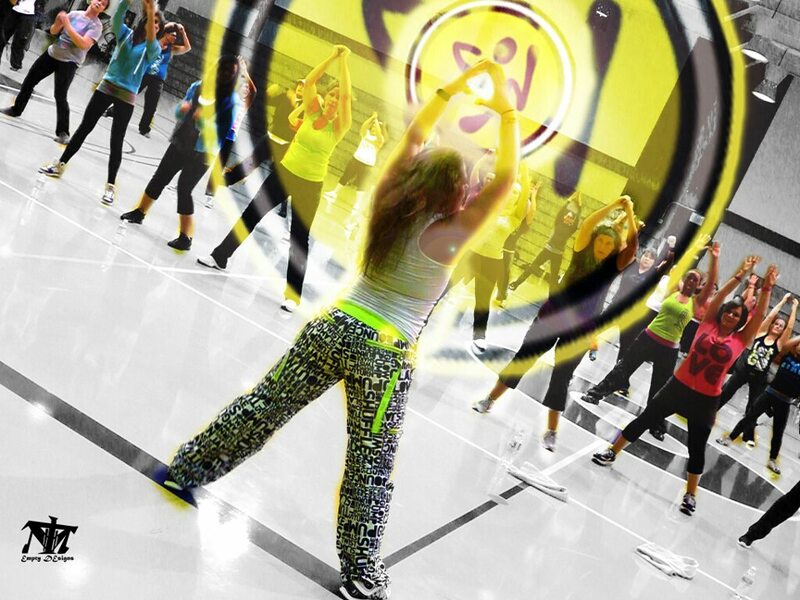 Select any regular class (excludes SmGrp-RIP) on the schedule and TRY IT for FREE! No pressure, No obligations! Just fitness FUN!! Our mission is to help you get into the best shape of your life and to FEEL great. We believe that anyone can get healthy and fit with a regular program of exercise and good nutrition and can have fun while doing it! Please take a moment to review the class guidelines so that you know what to expect during your class experience. These guidelines have been created to ensure the enjoyment and safety of everyone who participates in our classes. Thank you! Each of our classes is designed to give you a safe and enjoyable experience. Latecomers miss the important warm up, while leaving early means missing the crucial cool down period. Arriving late or leaving early may also disrupt participant's experience. Despite our best efforts, late arrivals may happen. In this case, please enter class as quietly as possible and take a place near the door. Be sure to ease into class slowly to allow your body time to adjust to the movements. If you must leave class early, please let the instructor know ahead of time or catch their eye and just give a little wave so we know that you are okay. Be sure to allow yourself time to bring your heart rate down safely, and be sure to stretch. We all like to smell good, but in our cardio classes we all know we're going to sweat (it's okay! ), and heavy perfumes can get even heavier as your body temperature goes up. This can just be distracting or can cause serious problems for those with scent sensitivities. Please refrain from wearing perfumes and/or body products (including lotions, hair spray, etc.) with strong scents to any classes. Be sure to keep water bottles and personal items to the side of the room so that they don't become a tripping hazard. Stager spots back and forth and check arm distance between participants, especially during Zumba Toning and Zumba Sentao. In mat classes, be sure to position your mat so that you have plenty of room to move without bumping into your neighbor. For mat classes you should also remove your shoes right away and set them to the side. Please understand that class space is reserved to be a safe space for participants only. Outside spectators aren't permitted. Our classes are all designed to give you options so that you can take things at your own pace. Remember that you will always get the most out of the class by doing things at the right level for you. This doesn't mean you can't challenge yourself, but it does mean you should respect the level your body needs so that you don't push yourself to injury. Don't worry about what other people are doing, just listen to your own body. Each body is different and deserves it's own workout. Also, be sure to let your instructor know if you are pregnant or have a medical condition that may be of concern, so that we can let you know if any moves may be modified to better serve you. All purchases are final. Refunds will not be provided for event payments, unused punch cards, session registration or Unlimited Passes. Unused session registration which have not expired may be transferred to another individual, however Unlimited Passes are good only for the individual for whom the Pass was purchased, unless transfer is approved by owner. Unlimited Passes are good only for regularly scheduled classes. They do not apply to personal training sessions or special events. Monthly Passes expire after 31 days. Unlimited Passes assume a reasonable amount of variance in each month's schedule, including class cancellations due to weather, illness, schedule changes, etc. In the case of inclement weather, classes may be cancelled. When time allows, class cancellations will be posted on Facebook, my website (www.islandfitness-nj.com/schedule), and notification will be provided through e-mail. Please check in with us on a case-by-case basis for more information. Please expect to attend the entire class. Please be considerate of your fellow noses. Please be considerate of the space. so that we keep the floors dry and salt free and to prevent injury. please feel free to contact Carrie. PLEASE REMEMBER TO SIGN IN TO EACH CLASS YOU ATTEND THRU OUR SCHEDULING SITE!